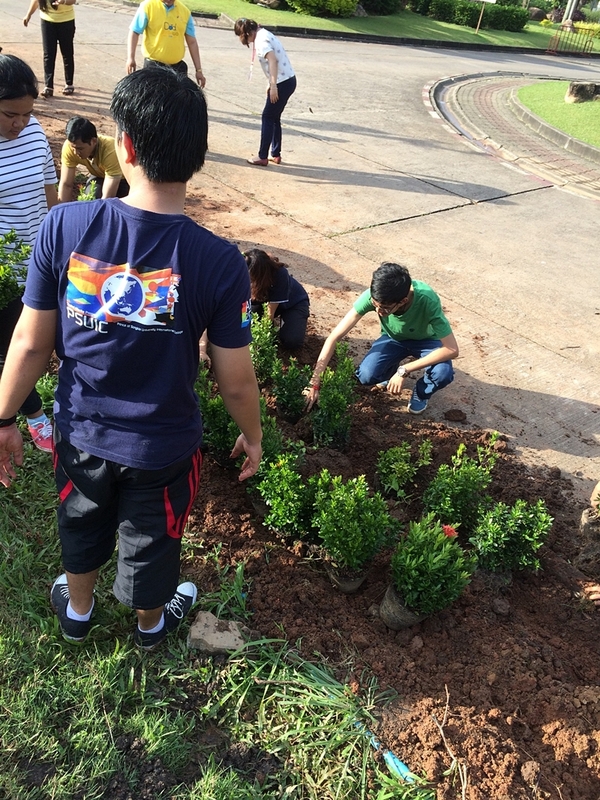 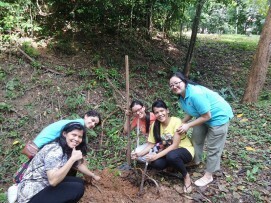 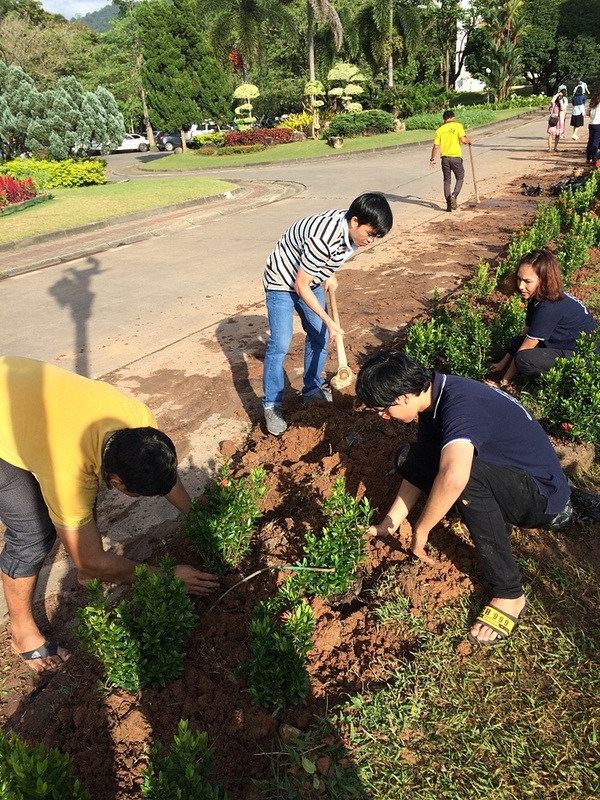 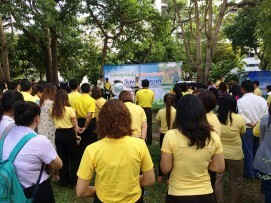 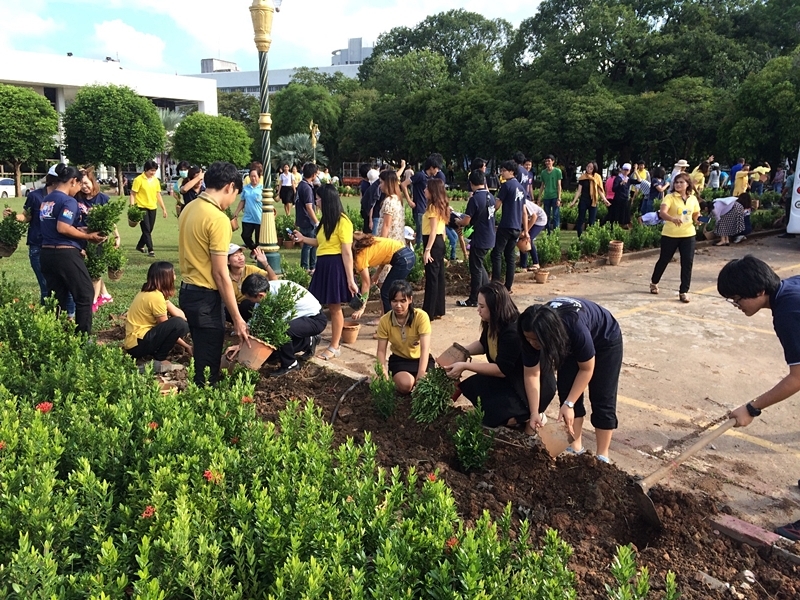 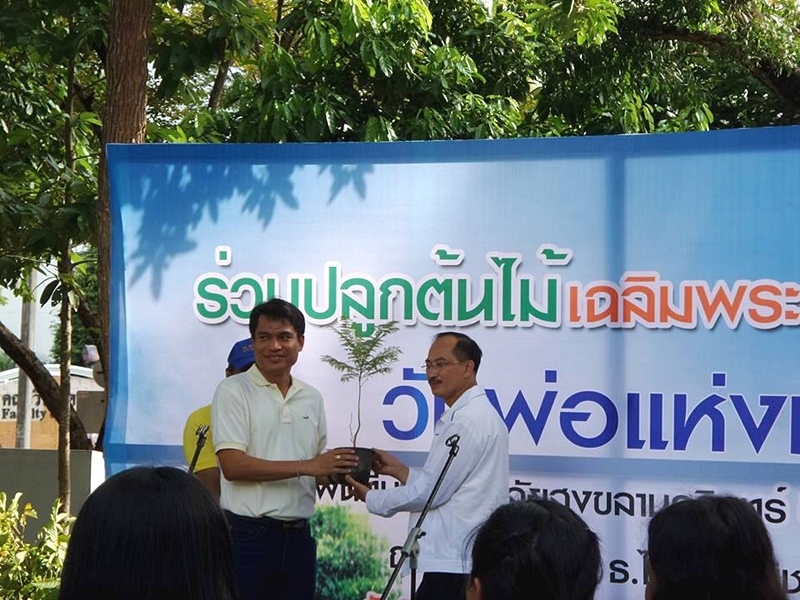 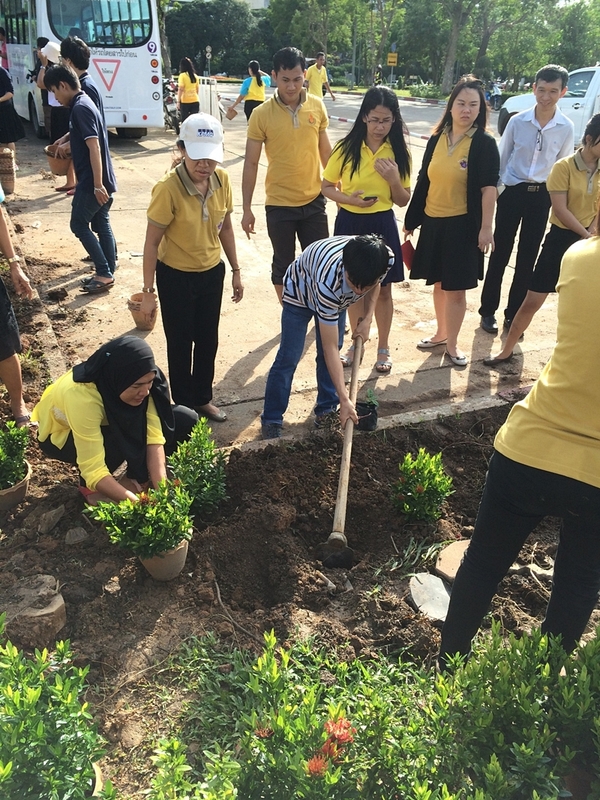 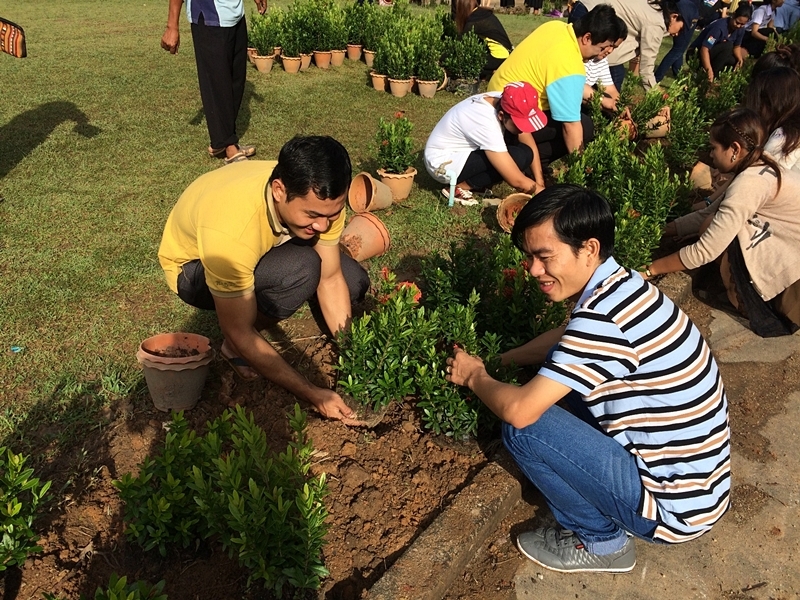 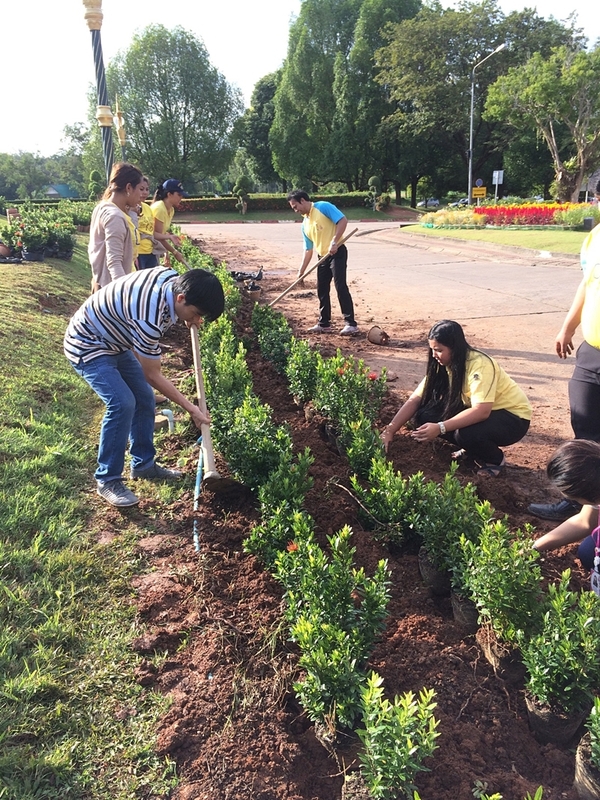 PSU Hat Yai Campus organized an environmental-awareness activity, specifically planting trees around the campus, on December 4, 2015. The activity, honoring the auspicious occasion of H.M. the King's 88th Birthday, was also joined by several PSU international students, who really enjoyed giving a hand with this eco-friendly action. 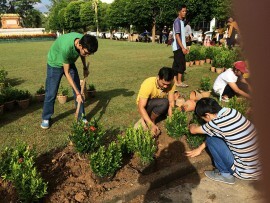 The activity, organized by PSU Physical Plant Service and Security Division, was opened by Assoc. 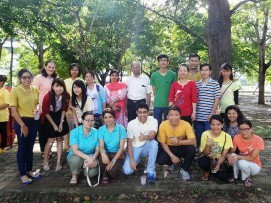 Prof. Dr. Chusak Limsakul, PSU President. 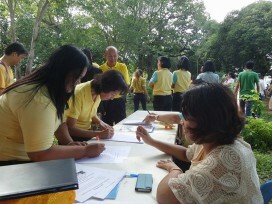 More than 100 staff and students attended the event. The objective of the event was to bring awareness about the importance of nature's preservation and create a joyful atmosphere at PSU, following the university's guideline "Our soul is for the benefit of mankind."